Just A Car Guy: a very large tractor, the 1903 Best 110 is 28 feet long and 17 feet, 4 inches to the top of the smokestack. 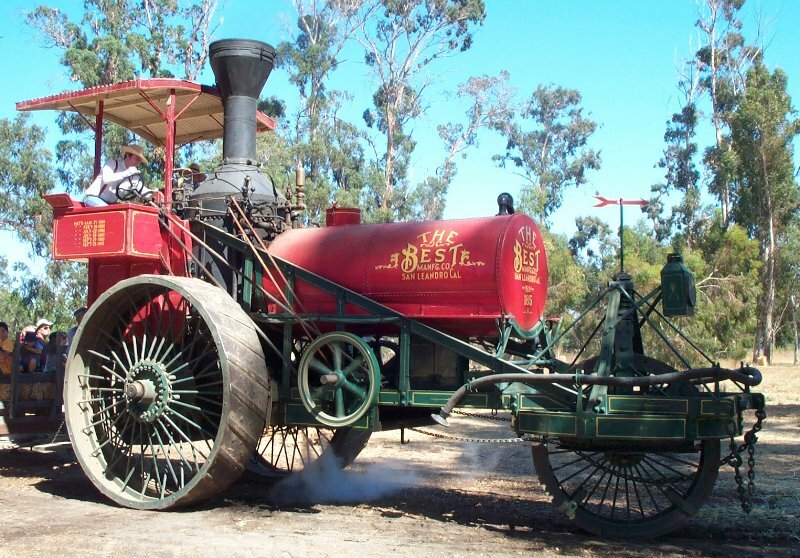 a very large tractor, the 1903 Best 110 is 28 feet long and 17 feet, 4 inches to the top of the smokestack. 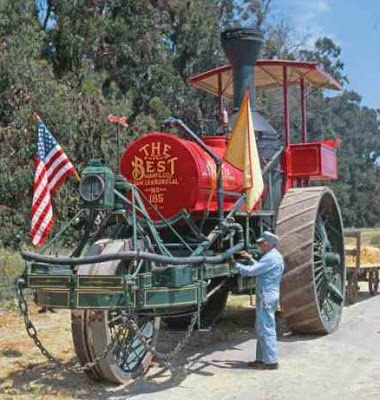 In 1889, Daniel Best’s Agricultural Works (later renamed Best Mfg. 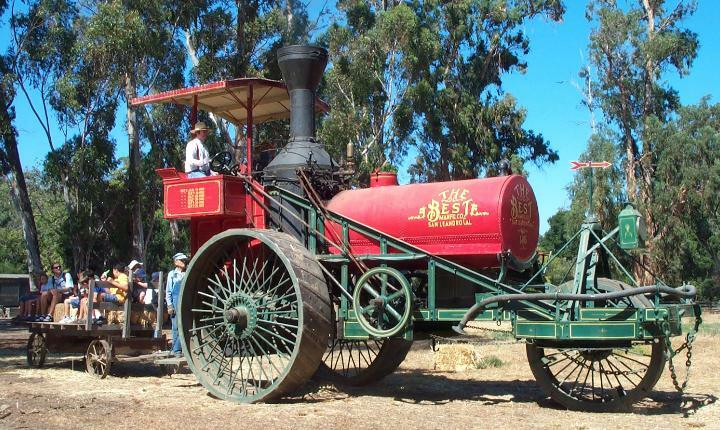 Co.), began to manufacture steam engines at his plant in San Leandro, California, producing models ranging from 30 hp to the massive 110 hp model. Upon retirement in 1908, Best sold his company to Ben Holt, owner of Holt Mfg. Co. His son, C.L. Best, operated the company under the Best name until 1925, at which time it merged with Holt Mfg. and the two formed Caterpillar Co. It measures 9 feet, 7 inches wide, and weighs more than 18 tons. 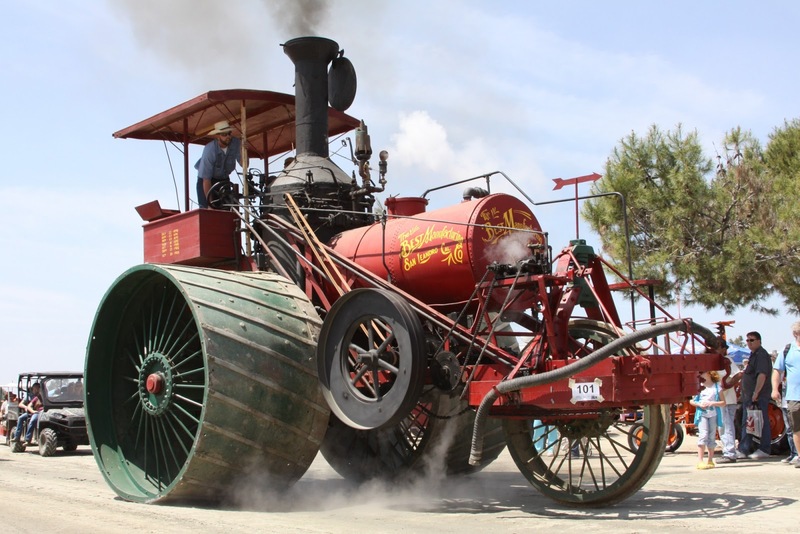 Its 8-foot-diameter rear drive wheels allowed for up to 15-foot width extensions to gain stability on the soft California land.